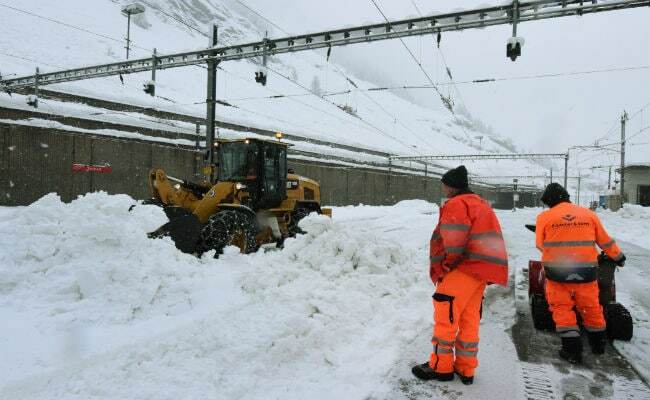 Some 2,000 people, including tourists, were left stranded in Austrian villages due to heavy snowfall. Three skiers and two snowshoe hikers have died as heavy snow and avalanches hit Austria, isolating several areas of the mountainous country, authorities said Monday. Two German skiers lost their lives in avalanches in the western region of Vorarlberg on Sunday, and a Slovenian died in the region of Salzburg, rescue services said. The bodies of two missing snowshoe hikers were discovered Monday as snow caused chaos in parts of the country, blocking roads and shuttering schools. Two other hikers are still missing in the country's northeast. Up to 1.5 metres (five feet) of snow has fallen in central and north Austria since the middle of last week, with up to three metres accumulating in the mountains around Salzburg, Austria's meteorological service said. Some 2,000 people, including tourists, were left stranded in villages in the Soelktal valley in the southeast. Army helicopters used in avalanche control were grounded due to the bad weather. In the Hochkar mountain range in Lower Austria, ski resorts were closed until further notice, with inhabitants and tourists requested to vacate the area. More snow is expected this week, with up to 80 centimetres forecast from Tuesday.